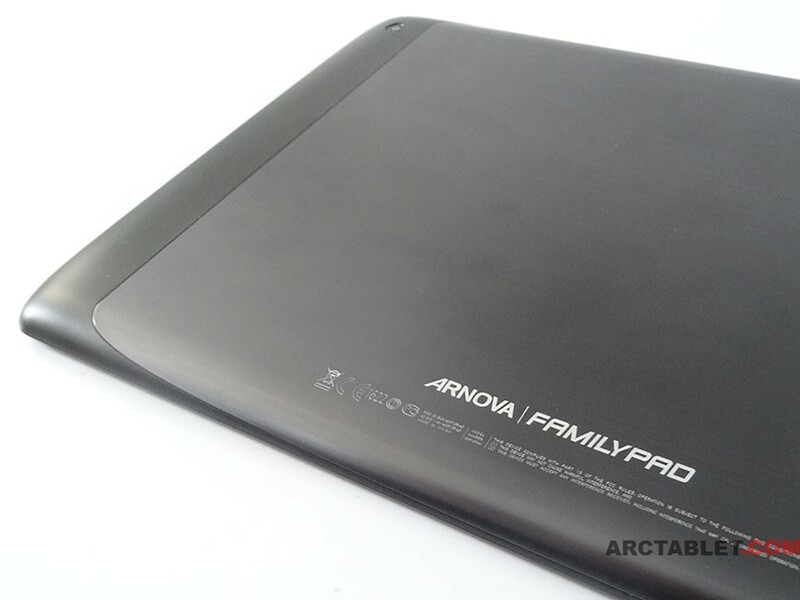 Arnova FamilyPad packs a nice design with a glossy finish. The pieces are now adjusted pretty well, the whole device seems quite solid and the materials feel quite good. 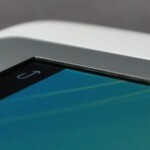 The front surface, which also acts as a mirror, catches fingerprints like a magnet, but it is quite easy to get them off. 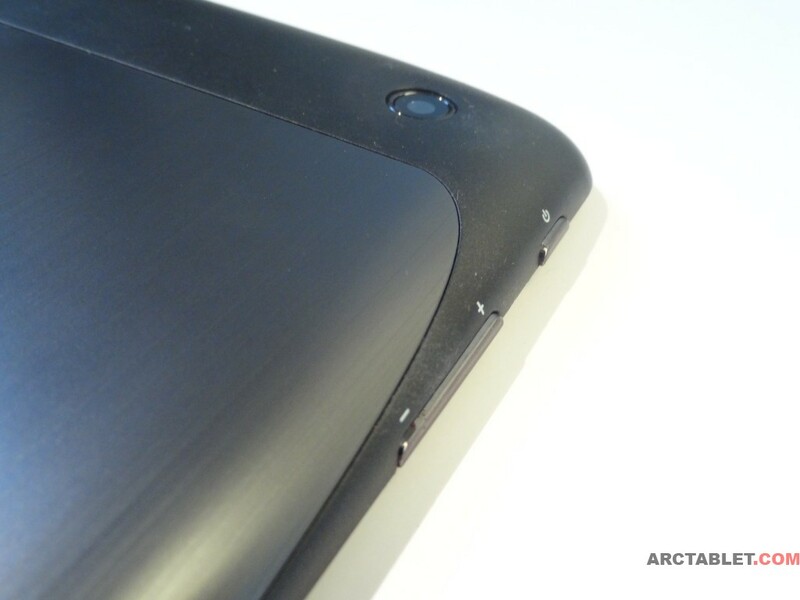 The back of the device is covered with rubber on the sides with aluminium finish in the center. 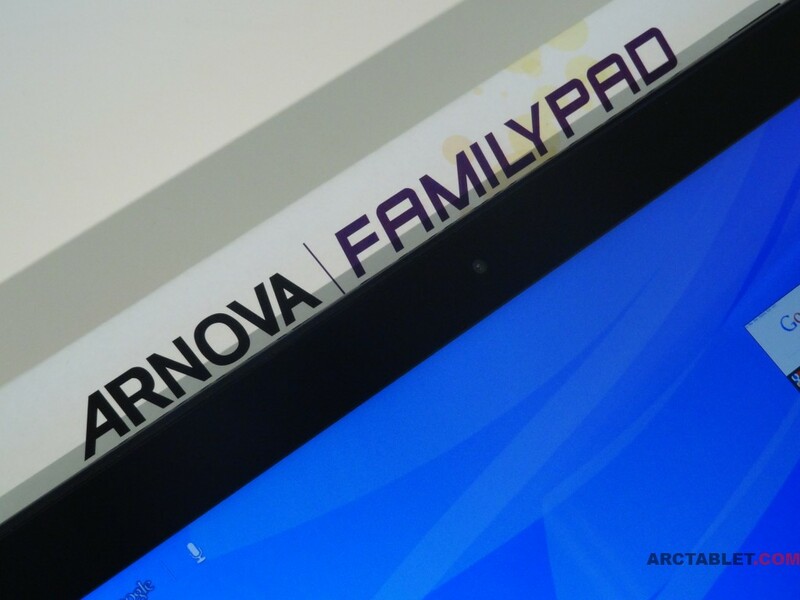 Compared to the rather cheap finish on most Arnova models, the FamilyPad feels like being from a different world. 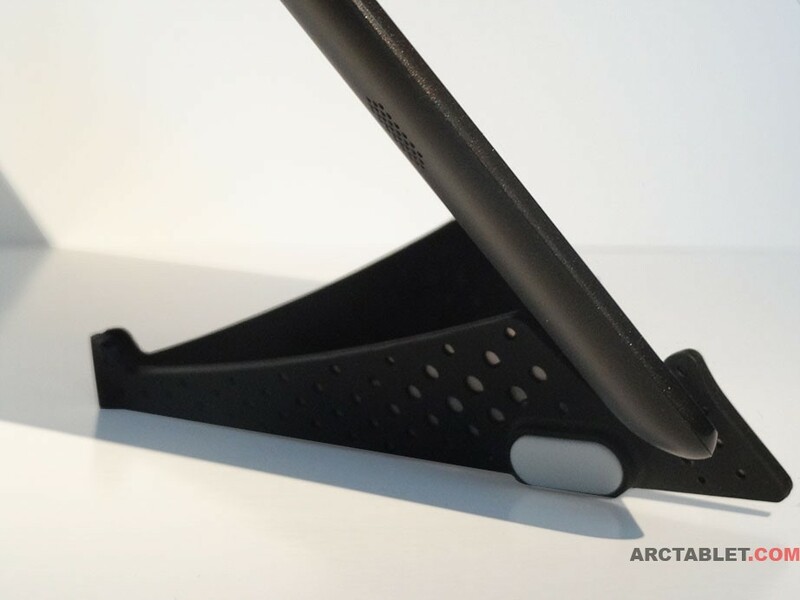 Thanks to the rubber on the sides, the tablet won’t slip out of your hands easily. 2.0 Mpx back camera and the volume buttons are located on the right upper side of the tablet. 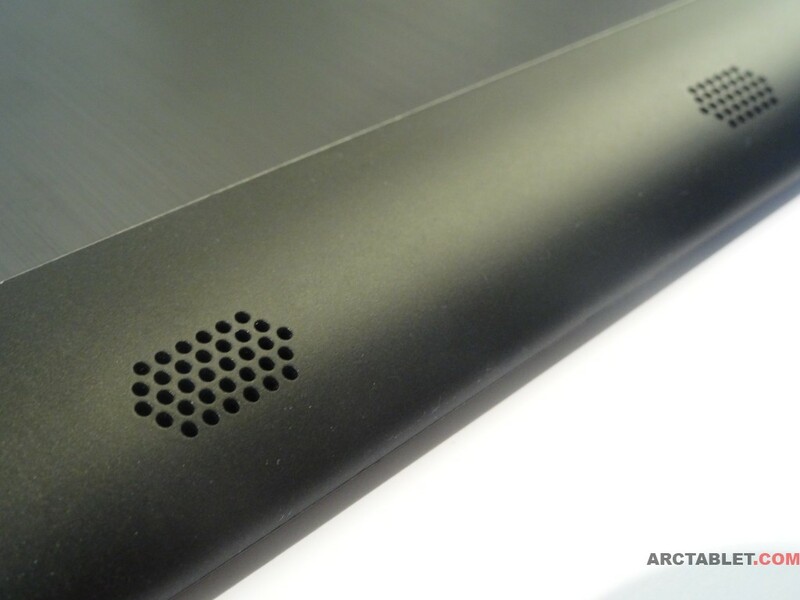 The tablet double speakers are located on the left back side. 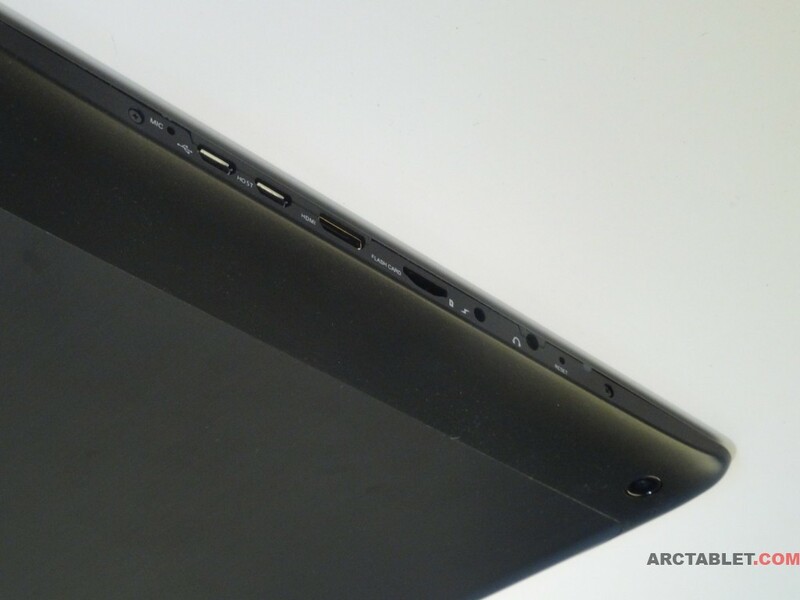 The sound is slightly attenuated, when the tablet rests on its back, but due to rounded corners, it is far less noticable than on most other tablets like the Archos 101 G9 and Archos 97 Carbon. 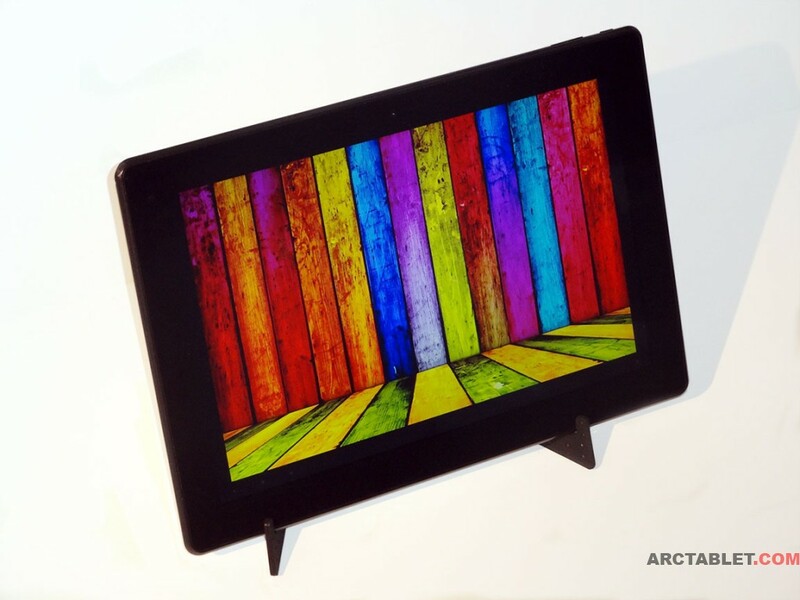 Arnova FamilyPad comes with an 13.3″ screen, one of the biggest screens we have seen so far in tablets. 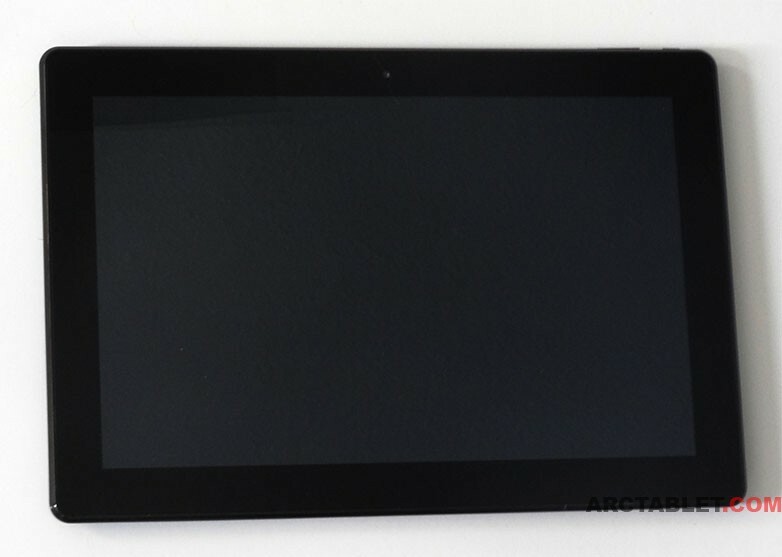 However, with the resolution of 1280 by 800 pixels, the ppi(pixels per inch) comes down to 113, for example Archos 101 XS has PPI of 160 and the iPad 4 264. During our test, we didn’t really regret the resolution, but we did regret the viewing angles which could have been better. The colors itself are pretty nice and the brightness can go quite high, though the blacks are not really black. Speaking of the resolution, you can count pixels on this one if you want to. 🙂 Just because the screen is so big, the density becomes less important. 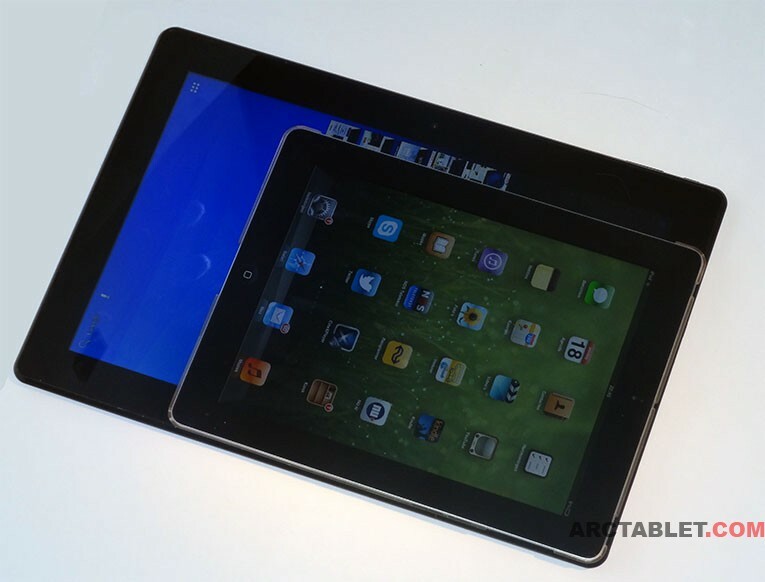 Speaking of the screen size, it is about 1.5x size of an iPad. 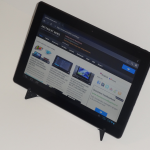 The quick stand, included with the tablet, is made from rubber and is actually quite flimsy. 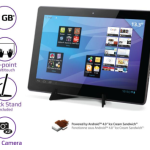 The slightly adjustable viewing angle is suitable for watching videos or reading cooking recipes. Touching the screen doesn’t cause the tablet to collapse, which is good. Unfortunately, with the heavy FamilyPad, the quick stand can only be used with the tablet put in horizontally(=landscape). 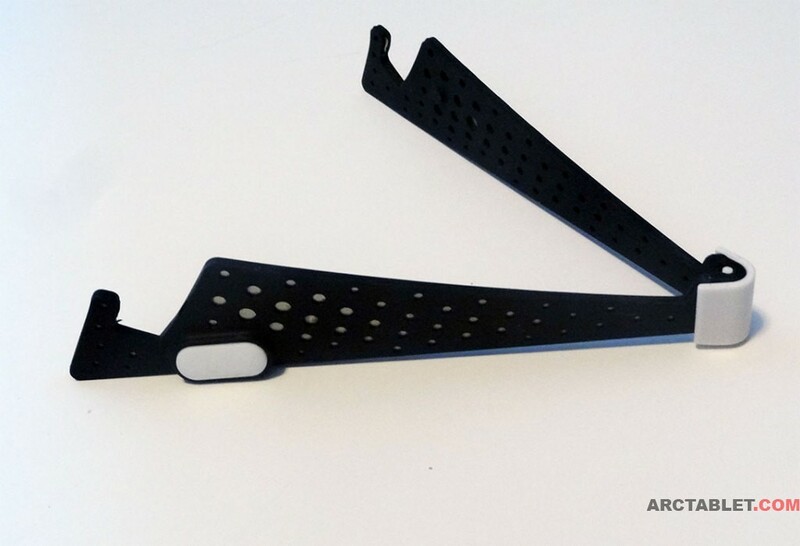 For lighter tablets, like the iPad 2, the quick stand will also work in portrait. Continue to Part 3: Performance & Multimedia.